Image: Getty/NASA, who I can’t believe didn’t inform us about this calamity. NASHVILLE—The Sun is disappearing. I don’t know how else to say it. I looked up in the sky, and part of the Sun was gone. It was completely missing, like a bite taken out of a cookie. The Sun is a “star,” a ball of gas 93 million miles away from our planet, Earth. It serves a very important purpose: Plants turn its energy into fuel that we humans can eat. It is the force behind our weather. It keeps us warm. It is the reason that we stay alive. It is disappearing. Without the Sun, we will die. Why aren’t more people panicking as our life-giving orb slowly erodes away? Don’t they realize that any minute now, we will start to feel the painful effects of the vanishing Sun? It takes eight minutes for the light from the Sun to reach Earth. So I give it eight minutes until the planet begins to freeze over. Society will come to a screeching halt. Everything will go extinct. Don’t look directly at the Sun, of course. It could burn your eyes. But just know that we are doomed. I try my best to keep people calm and to explain the evidence-based facts to the best of my knowledge. But I have no time to contact any sources or to fact check. Set down whatever you are doing, call your loved ones, and brace yourselves. Update 1:23 pm: It has been eight minutes and the world has not ended. The author is looking into it. 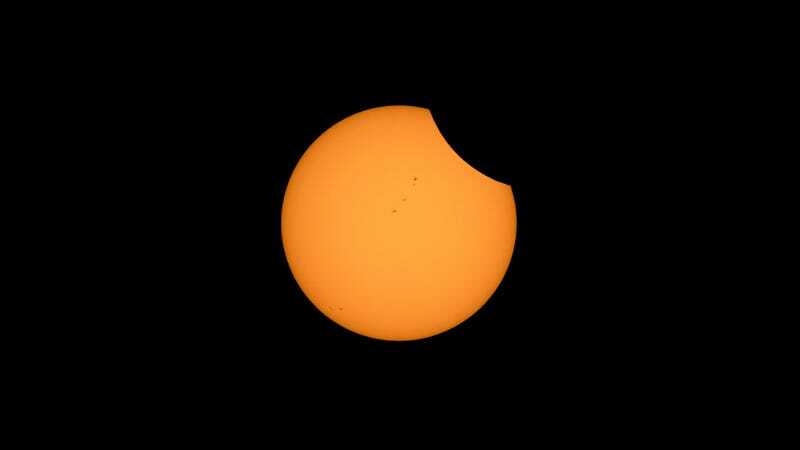 Update 1:30 pm: Gizmodo has been informed that in fact, there is a solar eclipse happening today. The author apologizes for any confusion.